Medicare Part B helps pay for medical expenses, clinical laboratory services, and outpatient hospital treatment. In most cases, Medicare pays 80 percent of the cost of covered services. Covered medical expenses include physicians’ services and supplies. Some Medicare Part B services are paid as a fixed co-payment under the outpatient prospective payment system. A one-time screening ultrasound for people at risk, requiring you to pay 20% of the Medicare-approved amount. Services provided by physician assistants, nurse practitioners, and others. You pay 20% of the Medicare-approved amount, and the Medicare Part B deductible applies. Emergency ground transportation when you need to be transported to a hospital or skilled nursing facility for medically-necessary services but transportation in other than an emergency vehicle could endanger your health. When airplane or helicopter transportation is deemed necessary, Medicare will help pay for this transportation as well. In some cases, Medicare may also pay for limited non-emergency transportation if your doctor has deemed this necessary. Keep in mind that Medicare will only cover services to the nearest appropriate medical facility. You pay 20% of the Medicare-approved amount for these services. Evaluation and treatment to help you return to usual activities (such as dressing or bathing) after an illness or accident when your doctor certifies such a service is necessary. You pay 20% of the Medicare-approved amount, and the Medicare Part B deductible applies. Services you receive as an outpatient as part of a doctor’s care. You may pay more for a doctor’s care in an outpatient department of a hospital than you would pay for the same care in a doctor’s office. For each service there’s a specified co-payment that cannot exceed the Medicare Part A hospital stay deductible. The Medicare Part B deductible applies. Include X-rays, casts, and stitches. For each approved service you receive in an outpatient hospital setting, there’s a co-payment that cannot exceed the Medicare Part A hospital stay deductible. The Medicare Part B deductible applies, and you pay all charges for items or services that Medicare doesn’t cover. Check for cervical, vaginal, and breast cancers. Medicare covers these screening tests once every 24 months, or once every 12 months for women at high risk and women of childbearing age who’ve had an exam indicating cancer or other abnormalities in the past three years. There’s no cost to you for the Pap lab test. You pay 20% of the Medicare-approved amount for Pap test specimen collection and for pelvic and breast exams. Evaluation and treatment for injuries and diseases your doctor certifies have affected your ability to function. There may be limits on these services and exceptions to these limits. You pay 20% of the Medicare-approved amount, and the Medicare Part B deductible applies. A one-time review of your health, and education and counseling about preventive services followed up by certain screenings, shots, and referrals for other care if needed. Medicare will cover this exam if you get it within the first 12 months of your enrollment in Medicare Part B. You pay 20% of the Medicare-approved amount. Helps prevent pneumococcal infections (such as certain types of pneumonia). Most people only need this preventive shot once in their lifetime. There’s no cost if the doctor or supplier accepts assignment for giving the shot. Including a limited number of drugs such as those administered via injection in a doctor’s office, certain oral cancer drugs, drugs used with some types of durable medical equipment (such as nebulizers or infusion pumps), and, under very limited circumstances, certain drugs received in a hospital outpatient department. You pay 20% of the Medicare-approved amount for covered drugs. For approved drugs you receive as an outpatient, a co-payment also applies. Keep in mind that most prescription drugs aren’t covered under Medicare Part B. To ensure the coverage you’ll need, your best plan of action is to enroll in a Medicare prescription drug plan (Medicare Part D). Help detect prostate cancer. Medicare covers a digital rectal exam and Prostate Specific Antigen (PSA) test once every 12 months for all men with Medicare over age 50. You pay 20% of the Medicare-approved amount, and the Medicare Part B deductible applies for the doctor’s visit. You pay nothing for the PSA test. Items including arm, leg, back, and neck braces; artificial eyes; artificial limbs (and their replacement parts); some types of breast prostheses (after mastectomy); and prosthetic devices needed to replace an internal body part or function when your doctor so orders. For Medicare to cover your prosthetic or orthotic, you must go to a supplier enrolled in Medicare. You pay 20% of the Medicare-approved amount, and the Medicare Part B deductible applies. Include many outpatient primary care services. You pay 20% of the amount charged, and the Medicare Part B deductible applies. Covered in some cases for non-emergency surgery. In some cases, Medicare covers third surgical opinions. You pay 20% of the Medicare-approved amount, and the Medicare Part B deductible applies. Includes up to eight face-to-face visits in a 12-month period if you’re diagnosed with an illness caused or complicated by tobacco use, or take a medicine that’s affected by tobacco. You pay 20% of the Medicare-approved amount, and the Medicare Part B deductible applies. Evaluation and treatment given to regain and strengthen speech and language skills including cognitive and swallowing skills when your doctor certifies you need such services. Usually, you pay 20% of the Medicare-approved amount, and the Medicare Part B deductible applies. For treatment of surgical or surgically-treated wounds. You pay 20% of the Medicare-approved amount for doctor services and a fixed co-payment when these services are received in a hospital outpatient department. You pay nothing for the supplies. The Medicare Part B deductible applies. Includes a limited number of medical or other health services provided mainly in rural areas via an interactive two-way telecommunications system by an eligible provider at a remote location. You pay 20% of the Medicare-approved amount, and the Medicare Part B deductible applies. Including X-rays, MRIs, CT scans, EKGs, and some other diagnostic tests. In most cases, you pay 20% of the Medicare-approved amount, and the Medicare Part B deductible applies. Additional outpatient costs may apply. Including doctor services for heart, lung, kidney, pancreas, intestine, bone marrow, cornea, and liver transplants. Certain conditions must be met. In most cases you pay 20% of the Medicare-approved amount, and the Medicare Part B deductible applies. Generally inadequate for foreign travel, as Medicare offers very little coverage for those outside the U.S. (the 50 states, D.C., Puerto Rico, the Virgin Islands, Guam, the Northern Mariana Islands, and American Samoa). There are some minor exceptions to this rule. To treat a sudden illness or injury that isn’t a medical emergency. You pay 20% of the Medicare-approved amount, and the Medicare Part B deductible applies. As you can see, Medicare Part B provides some important benefits, but it leaves gaps in your health care coverage. Your Medicare Advantage plan won’t fill these gaps completely, so it’s vital you have a Medicare supplement insurance plan to give you the total coverage you need. 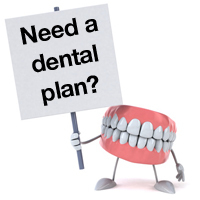 The right Medigap plan will save you a lot of stress and worry as you face an uncertain future. Whether you’re new to Medicare, a Medicare veteran, or in currently in danger of losing coverage, contact MedicareMall now and one of our agents will get right to the important task of helping find the Medicare supplement plan that’s right for you.